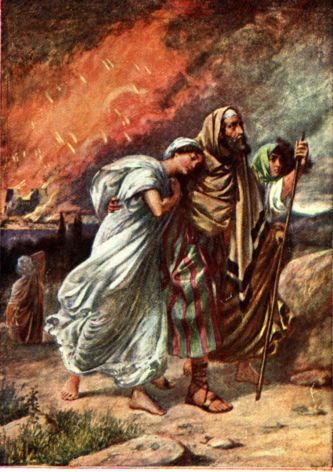 Many of you may recall the Old Testament narrative about Lot, who with his family fled from Sodom and Gomorrah just as those cities were about to be destroyed by God. Recently I read a post by someone intent on proving that Lot was a righteous man. Well, I cannot argue with that sentiment since it is clearly stated in 2 Peter 2:6-8. But of course, once again, if your religion teaches that it is your own righteousness that saves you rather than the imputed righteousness of Christ, then you will also find yourself looking for a “work around” for the rather clear teachings given through the apostle Paul mentioned above. In fact, you may need to find a way to explain away his entire letter to the Galatians. So, while those of us who put our trust in Christ’s righteousness and not our own self-righteousness can ponder whether Lot’s actions in offering his daughters to the mob was morally reprehensible or acceptable given the circumstances, we don’t have to make him out to be someone more than what we are; sinners saved by grace!